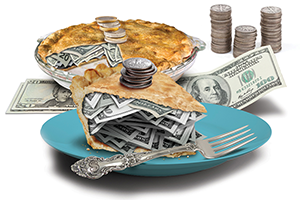 After years of nibbling around the edges, Virginia’s largest public companies are biting off bigger chunks of the pay-for-performance pie. The at-risk approach to CEO pay took on greater significance in 2015, when the stock market posted its weakest closing since the 2008 recession. Many companies here missed corporate earnings and other performance targets. The result: many CEOs saw their average total compensation remain flat or inch upward an average of less than 1 percent. Board directors have tightly coupled more of an executive’s remuneration to narrowly defined goals. On average, nearly two-thirds of an exec’s pay package is linked to incentive-based equities, while milestone lump-sum cash payouts have nearly become a thing of the past. 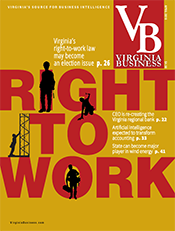 Those are among the findings of an annual study of CEO pay at Virginia’s largest publicly traded firms. 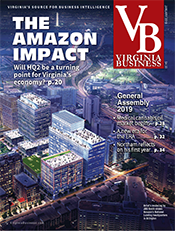 Equilar Inc., an executive compensation solutions firm in Redwood City, Calif., conducted the research on behalf of Virginia Business. 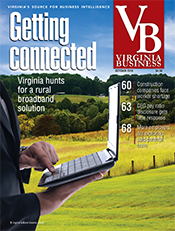 It looked at pay practices at 46 Virginia companies. Equilar examined corporate proxy statements to analyze the total compensation of CEOs who had served for at least two consecutive fiscal years. Total direct compensation includes a CEO’s salary, cash bonus, stock and option awards, long-term cash and other financial incentives. 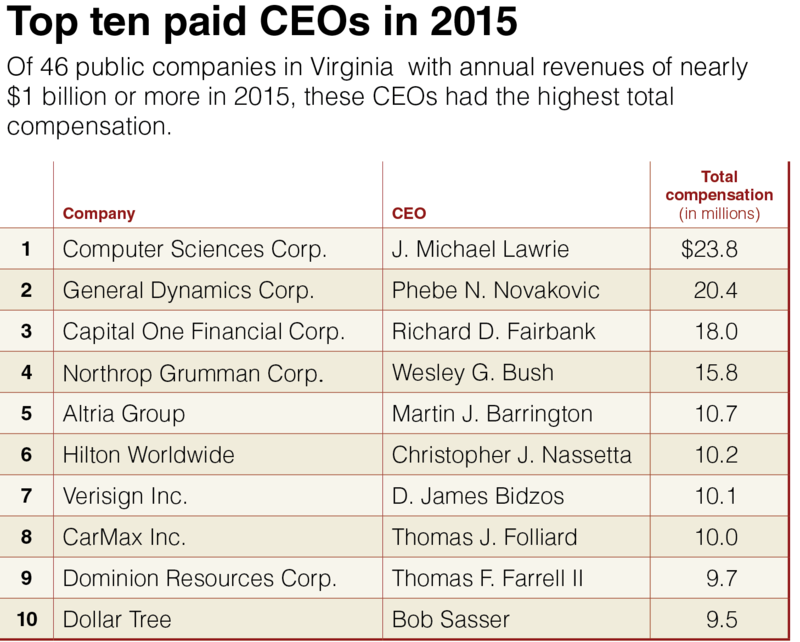 If a CEO was not in place in 2014, the individual’s compensation was not factored in the 2015 group averages. 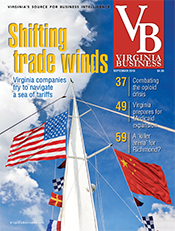 Virginia CEOs received total compensation averaging $6.73 million in 2015, down 0.8 percent from $7.21 million in 2014. The average equity award was $4.1 million, or roughly 60 percent of the total. Other elements of average pay: salaries climbed nearly 7.2 percent to $979,136 while cash bonuses of $1.36 million remained essentially flat. The combined average of CEO salary and bonus was $2.3 million. 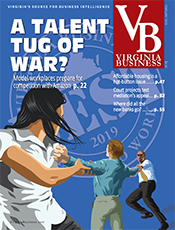 Virginia pay committees still are tinkering to find an appropriate balance between pay and performance, says Dan Marcec, an Equilar director of content and marketing communications. But weighting a CEO’s compensation against corporate achievements is harder than it sounds. “We have seen a big shift away from awards that vest based on years of service and a move toward greater use of performance-based shares. And these performance awards are becoming more complex. Boards are basing them on different elements of the business (in an effort) to more accurately capture the holistic nature of their CEO’s responsibilities,” Marcec says. 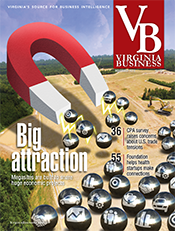 By and large, pay strategies in Virginia reflect general trends that industry experts have witnessed across U.S. public companies. In a separate Equilar study in May, known as the Global CEO Pay Trends 2016 report, use of performance awards at S&P 500 companies increased from 62.5 percent in 2011 to more than 80 percent in 2015. During the same five-year period, use of time-vesting option awards decreased from 69 percent to 54 percent. Global consulting firm Mercer reported similar findings in August. Total compensation for S&P CEOs ticked downward from $10.6 million in 2014 to $10.3 million in 2015 — the first such drop in five years. The $300,000 pay difference year to year exactly parallels the fall in median revenue among companies, which Mercer said declined from $9.7 billion to $9.4 billion. “It was a small downtick, but it was a downtick nonetheless. It has to do with lower short-term incentives and lower bonuses (being awarded) in 2015, since there was lower profitability across many sectors,” says Gregg Passin, a senior partner in New York City with Mercer’s North America executive rewards practice. 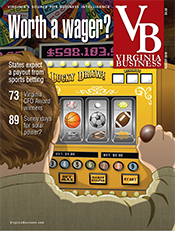 How does a Virginia CEO’s pay stack up nationally? It’s a question bound to yield an imprecise comparison, but in terms of average pay, Virginia CEOs earned less than their S&P peers. That’s according to another Equilar study in May conducted with The New York Times. The analysis of the 200 largest S&P firms found those CEOs reaped a cool $19.3 million in 2015. And that actually represents a 16 percent year-over-year decline in total comp. The uncertainty of the U.S. stock market is expected to keep raises flat for U.S. employees, who can expect an average pay hike of 3 percent in 2016, according to a salary budget survey by WorldatWork, a Washington, D.C., trade group for human resource professionals. That’s better than nothing, but annual worker raises have been stuck at 3 percent since 2014. On a larger scale, public companies across the U.S. face a new challenge heading into 2017: transparently disclosing the ratio of a CEO’s pay to that of rank-and-file workers. The new rule was put in place last year by the U.S. Securities and Exchange Commission and is scheduled to take effect next year. A lagging provision of the Dodd-Frank Wall Street Reform and Consumer Protection Act, it will require corporations in required SEC filings to compare their CEO’s compensation to the median pay of all other employees. A separate SEC rule has been tabled that would require public companies to disclose how they define pay for performance. 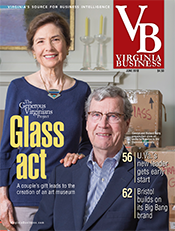 Reflecting the continuing emphasis on rewarding performance, 39 of the 46 Virginia companies granted equity awards to their CEOs. Only three CEOs received milestone cash related to long-range incentive plans. And while it hasn’t curbed executive pay packages, Equilar’s Marcec says nonbinding advisory votes by shareholders — the so-called “say on pay” rules created by Dodd-Frank — are gradually having impact on pay strategies. “It’s a mandatory shareholder vote every year that gives a company the temperature of how their investors feel about executive pay. Say on pay has opened a lot of dialogue, some of it constructive and some of it challenging. But it’s definitely changed the way committees try to align the CEO’s pay to what investors expect,” Marcec says. New companies on this year’s list include American Woodmark, Beacon Roofing Supply, CEB Inc., Graham Holdings Co., K12 Inc., Neustar Inc., PRA Group, and Tegna Inc. Tegna is a broadcast and digital media company resulting from last year’s division of publishing company Gannett Co. Inc. Tegna is led by former Gannett CEO Gracia C. Martore. 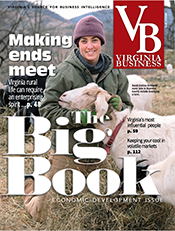 Notably dropping off the list in 2015 are two firms undergoing bankruptcy reorganization: Nextel Communications’ Latin American wireless carrier NII Holdings, based in Reston, and coal-mining giant Alpha Natural Resources in Bristol, which is trying to shovel out from a mountain of debt amid weak coal demand. NII and Alpha each appeared on our 2014 list. 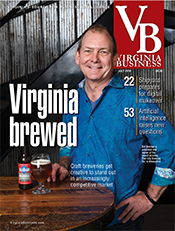 Equilar said 27 Virginia CEOs got an annual salary bump. Government-controlled mortgage lender Freddie Mac gave Donald H. Layton a reported $1.48 million salary, a staggering one-year increase of 147 percent. The pay raise subsequently was revoked by Congress, and it remains unclear how much of the pay increase Layton actually received last year. Meanwhile, salaries for eight CEOs remained flat. Other CEOs are newcomers to the list. And nine CEOs either have retired or announced plans to retire: Media General’s Vincent Sadusky, whose company is being acquired, Brinks’ boss Thomas C. Schievelbein, Thomas J. Folliard at CarMax, CEB’s Tom Monahan, Engility Holdings’ Anthony Smeraglino, K12’s Nathaniel A. Davis; Alan I. Kirshner at Markel Corp., Darren R. Jackson at Advance Auto Parts and Gracia Martore at Tegna. Another CEO, Richard D. Fairbank at Capital One Corp., continues his preference to be compensated solely in stock. After finishing in the top five a year ago, Computer Sciences Corp. boss J. Michael Lawrie shot to the No. 1 slot this year with a pay packet estimated at $23.8 million. That’s up 54 percent. In 2015, CSC shareholders got a total return of 31 percent. Although his $1.25 million annual salary is unchanged from last year, Lawrie, 63, moved up the list based on the strength of performance-based equity awards valued at $20 million, including nearly $16.4 million in stock awards and $3.58 in options. In addition, Lawrie earned a $2.25 million bonus related to the company’s spinoff of CSRA Inc., which combines CSC’s federal IT contracting business and its acquisition of SRA International. The company said in its proxy that the merger “marked a strategic next step in our transformation journey” since Falls Church-based CSC hired Lawrie as a turnaround specialist in 2012. Finishing second to Lawrie was General Dynamics Corp. Chairman and CEO Phebe N. Novakovic, the highest-paid of the three women on the list with compensation of $20.4 million. (Tegna’s Martore and Neustar’s Lisa A. Hook are the others). It marked the third consecutive top-three finish for Novakovic, who took the helm in 2013 after spending 12 years as a General Dynamics senior manager. The Falls Church-based defense contractor posted consolidated revenue of $31.5 billion in 2015, a 2 percent increase compared to 2014. Sales to the U.S. government accounted for roughly 55 percent. Novakovic’s total pay was valued at $20.4 million, up 8 percent, including $13.7 million in equity payments. Her base salary inched up 2 percent to $1.584 million, while her $4.85 million bonus was up 14 percent. Claiming third place is Capital One co-founder and longtime Chairman Richard Fairbank. Directors at the credit-card services giant in 2015 granted Fairbank, 65, performance shares with a grant-date value of $8.75 million, payable only if shares of Capital One common stock attain a certain level through 2017. Fairbank forfeits the shares if performance targets are missed during the time period. Fairbank has aggressively sought to diversify Capital One beyond credit card services, including a push into niche commercial lending for various other businesses. The strategy has been fueled by a spate of acquisitions, most recently the addition of General Electric Corp.’s health-care lending business. As has been his custom, Fairbank forgoes a base salary in exchange mostly for equity awards. His 2015 cumulative pay package exceeded $18 million, including a $2.68-million deferred cash bonus and $15.2 million in incentive-laden equities. Northrop Grumman Corp. CEO Wesley G. Bush ranked fourth with a pay deal whose overall value jumped 6 percent to $15.8 million. The lion’s share came from shares of stock worth an estimated $10 million. The 54-year-old Bush got a 4 percent salary raise to $1.59 million and a cash bonus of $3.3 million. 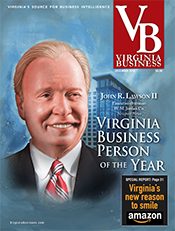 Bush stunned the industry after taking the helm in 2010, uprooting its headquarters from Los Angeles to Northern Virginia to be nearer to government customers. Under Bush’s leadership, Northrop Grumman said it generated total shareholder return of 30.5 percent in 2015, beating the S&P for the seventh consecutive year. Altria Group CEO Martin Barrington, 62, rounds out the top five with $10.7 million, including $5.6 million of equity, a bonus payment of $3.5 million and 7 percent salary hike to $1.3 million. In its proxy, the cigarette maker said Barrington provided “extraordinary strategic leadership” as it grappled with competitive and regulatory challenges to the tobacco industry, helping Altria and its companies “deliver $5.5 billion of adjusted net earnings” and total shareholder return of 23 percent. Other CEOs with eight-figure compensation packages include Christopher Nassetta at Hilton Worldwide ($10.2 million), Verisign’s D. James Bidzos ($10.15 million) and outgoing CarMax boss Thomas Folliard ($10 million). One of the biggest one-year declines belongs to Thomas F. Farrell II at Dominion Resources Inc., whose $9.66 million package is slightly less than half, or 44 percent, than the $17.3 million package in 2014. Farrell’s performance-based cash bonus of $366,432 represents a 90 percent cut from the $3.52 million bonus in 2014, as the energy giant missed earnings guidance and lagged on multiyear total shareholder return. During his presidential bid, democratic socialist Sen. Bernie Sanders of Vermont roused young voters by carping about the pay disparity between CEOs and rank-and-file workers. The issue is sure to get even more play with a contentious election looming in November. But Passin at Mercer said compensation committees already are trying to balance equitable CEO pay with greater transparency on performance metrics.